I can understand the monk change, but I just don't think it's relevant enough to balance to be worth the change. The Aztec Warchief at least is guaranteed broken with the cover mode bug in age 3 / 4, whereas the main justification for the monk change is only that it is asymmetrical (for lack of a better word). Even Ensemble Studio added idiot things like "light infantry" tag to the game. These are basicly melee cav units. I always felt it would be just much simpler to put all light inf into melee cav tag and remove all light inf damage multi on them. You can argue these guys dont have horses but why they act like if they would? Dsy wrote: Even Ensemble Studio added idiot things like "light infantry" tag to the game. These are basicly melee cav units. Then give them cav stats (more RR and more HP) and I'm fine with that . Coyotes are actually trash because they are light infantry. n0el wrote: China monk change is such a huge nerf. Useless banner army change does nothing to offset it. well, i feel like china is a unique example, because in fights hes standing still making disciples most of the time anyways. he doesn't benefit to nearly the degree that aztec warchief does in terms of faster speed and higher attack. a suggestion was made to remove cover mode but increase his RR during age up, so he isn't broken in age 1 but maintains nearly the same effect in fights in terms of tankiness. In terms of balance, the Chinese case is indeed different from the Aztec one. However, the fact remains, of an abusable bug whose existance is both silly and a blight on the patch. Can you not agree that fixing it and balancing accordingly is preferable? The monk simply has to be good enough for the overall performance of the civilization. It's not as if the hero becomes unviable, like an ordinary unit would (except for cost and train-time, as is being addressed), or as if it's weak compared to any other hero, without cover mode bug abuse. These are things that bother me. The justification for handing out a big nerf to China is that the hero unit "wont become unviable" (because you are forced to have a monk anyways) and then you claim that changing the train cost/time is reasonable compensation. But in reality we all know that the option to train the monk is entirely unviable and irrelevant anyways. So in reality there is no compensation and instead you're just adding some useless change to the already huge list of changes. Maybe this approach of balancing the numbers and expecting the game's balance to suddenly become balanced too does not make sense? At the very least you shouldnt sell pointless changes as compensation. You misunderstand. The justification for removing cover mode from the monk, is that it's the only way to solve an abuseable bug – period. It can and will be balanced around. Unlike Chinese, the unit does not have to be strong enough (let alone broken). It is mere fact that the unit does not depend on being viable as any regular unit would. This applies to every hero unit. What I am saying is that there isn't necessarily a balance reason to buff the monk further; not that it is unacceptable. As for the buff to the monk, it is a significant cost and train-time reduction (made even more significant by the fact that the unit is competing with Villager production). It is compensatory, and helps the viability of training the unit. Training it was definitely viable, before. If it isn't now, expect that to change. Let's be reasonable! As for the list of changes, it's five changes and about one per civilization, on average – most of which are small. Let's be reasonable! If you are interested in helping improve the patch on this particular topic (or any other), please play on it and see whether Chinese is too weak, and whether the Monk is worth training. Ultimately, making unfounded claims about the balancing method used being purely theoretical, immediately after a host of purely theoretical assumptions, is neither a constructive or effective method. Let's not be plain silly! Mitoe wrote: I can understand the monk change, but I just don't think it's relevant enough to balance to be worth the change. The Aztec Warchief at least is guaranteed broken with the cover mode bug in age 3 / 4, whereas the main justification for the monk change is only that it is asymmetrical (for lack of a better word). I believe the better term would be "abusable bug". Training the monk was definitely not viable. 300c and losing villager production as well as long train time... its terribad. Even at 250 i would never use it. Ive mained china for years, and ive never used it in one of may games ever. And im a bug fan of using the hero to its fullest capacity, both as disciple factory and tank. umeu wrote: And im a bug fan of using the hero to its fullest capacity, both as disciple factory and tank. umeu wrote: Training the monk was definitely not viable. 300c and losing villager production as well as long train time... its terribad. Even at 250 i would never use it. 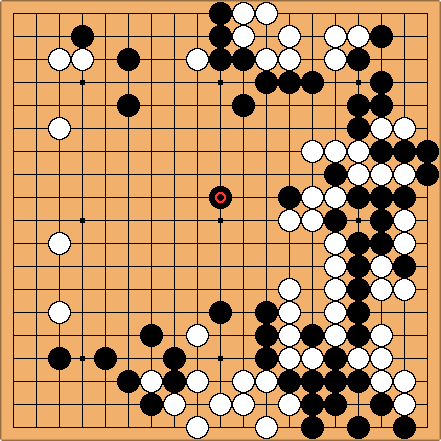 Ive mained china for years, and ive never used it in one of may games ever. And im a bug fan of using the hero to its fullest capacity, both as disciple factory and tank. You should have used it, then. If your hero is dead in the enemy's base and your only way to save it is to buy it back, it is easily worth 300 gold and the train time. edit: Ah, I think I see it, the royal decree card itself. I dont lose my hero in such a place. When china gets to your base, they have won anyway. Ideally yeah.. But surely you've made the mistake of losing your hero in a bad position at least once if you mained China for years. Goodspeed wrote: Ideally yeah.. But surely you've made the mistake of losing your hero in a bad position at least once if you mained China for years. Never in a position where you cant get it back by sending a steppe rider, meteor hammer or other unit to fetch it. There have been times where i lost my hero and i wouldve loved to have it back, but those moments were never when i had 300c lying around or the time to wait for him to be retrained and marched from tc into the battle. A list featuring all current beta changes is found in the OP. - Fixed an issue where the Launcher would always launch ESOC Patch after "repairing" a suspicious file, even when the user was originally interrupted from launching Treaty Patch or XPMOD. The proper originally-interrupted game version will now be launched in this case. Reverted until further notice and review. While not necessarily a balance issue, in the bigger picture, some are predictably disenchanted with the monk becoming weaker – in isolation. Because of this, it's preferable to improve on the unit's combat abilities, by enhancing the unit's actual features, rather than broken bugs. Now, isn't that nice? This change aims to avoid any adverse effects on training Disciples. This adjustment will significantly abate any adverse effects of the change. Honestly just don't touch heroes if then you have to make double the changes to compensate what should just be straight up nerfs. - it doesn't improve balance because on one hand it makes it counterable by goons but on the other it makes it virtually as strong as a mameluke. We were targeting a Friday release, to accomodate for the prematurely scheduled tournament games, but are now instead planning a Sunday release, to accomodate for the rest of the tournament, as well as the fixing of the bug brought to our attention, thanks to umeu. Better that, than to launch with a hotfix required. This is expected to be the final iteration, going live soon™. - Prevent starting mines spawn failure in games with more than 2 players (by falling back to 1v1 mine spawn logic when needed), on the following maps: UIx ESOC Mendocino, UIx ESOC Manchac, UIx ESOC Tassili. Was primarily an issue for teamgames with observers. - UIx ESOC Colorado: adjusted player placement locations in 2v2 with observers, in order to ensure starting units spawn for all players. - UIx ESOC Malaysia: water areas of the map should no longer occasionally become filled with land. - "Spanish Gold" shipment now affects "Native Treaties" and "Royal Decree to Claim the New World" shipments with the extra coin crate. - "Spanish Gold" shipment no longer grants an extra coin crate with the arrival of Aztec allies granted by the "Native Treaties" shipment. Please help us test this release, no matter whether you have an NVIDIA/AMD/no dedicated GPU. Simply check if ESOC Patch runs properly for you and let us know here! - Made further changes to prevent an integrated GPU from being used to run the game when a dedicated NVIDIA graphics card is available on the user machine instead. - Check if official game patcher service is available on launcher startup, only use ESOC-provided substitute game patcher service when official one isn't up (following up on the ESO login hotfix). Good to hear, and thanks for pointing out how to check! Based on this post the update seems to work (i.e. not break anything) on systems without any GPU as well. Does anyone have an AMD video card (Radeon, probably) and could check whether that works as well? Another way to tell whether you're on GPU vs integrated graphics is by turning on "show FPS" in the launcher options. If you see ~30 FPS (or lower) on the main menu screen showing your home city you're on integrated graphics, with a GPU you should be seeing ~60 FPS or more. - Infinite 17 Cherokee Riflemen shipment increased to 19. - Macehualtin Heavy Infantry multiplier reverted to x2 from x2.5. - Infinite 800c Aztec shipment increased to 1000c. - Flaming Arrow range reduced from 32 to 31. - Yabusame cost reverted from 80f/90c to RE 60f/150c. - Infinite 2 Rockets shipment cost reduced from 600c to 200c. - Removed Rocket negative multiplier vs Cavalry (revert to RE state). - Reverted Yeomen shipment from +2 to +4 Longbowman range & LoS. - Reverted Long-ranged Infantry HP card to RE state; no longer buffs Musketeers. - Cuirassier hand attack increased from 26 to 28. - 1 Great Bombard shipment coin cost removed. - Fixed a bug causing certain unit sounds to be heard across the whole game map, regardless of camera distance from the sound origin. 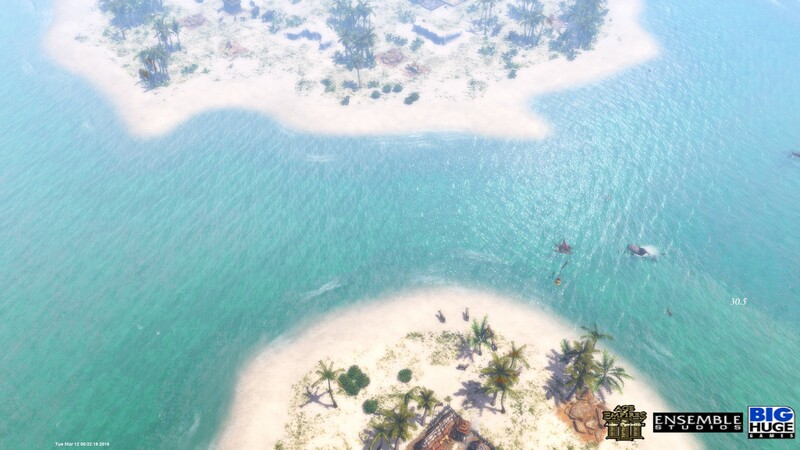 The affected units/sounds were: Flamethrower (death), Flying Crow (death), Howdah (siege), Mansabdar Howdah (siege), Siege Elephant (attack), Mansabdar Siege Elephant (attack), Morutaru (attack), Shogun Tokugawa (attack), Mansabdar Flail Elephant (attack), Asian Fishing Boat (attack). - Reduced image quality of minimap thumbnails, significantly reducing patch download size. - Recreated all minimap thumbnails of UIx maps, fixing an issue that would cause the sample spawn to be overly resource-rich. - UIx ESOC Kamchatka minimap thumbnail now showcases the Summer spawn version of the map. - UIx ESOC Fertile Crescent: the map will now spawn and place players correctly in 1v1 observer mode without observers. - Added UIx version of Ceylon, removed old version. - Refactored diplomacy backend code and partially moved it to ESOC UHC Plugin, improving performance and Scenario interoperability. It is now possible to activate Diplomacy using a custom trigger in Scenarios, either by simply calling trActivateDiplomacyGadgetsESOC (RE-incompatible), or through a slightly more advanced trigger if including RE compatibility is desired (available in Eaglemut's trigger pack). 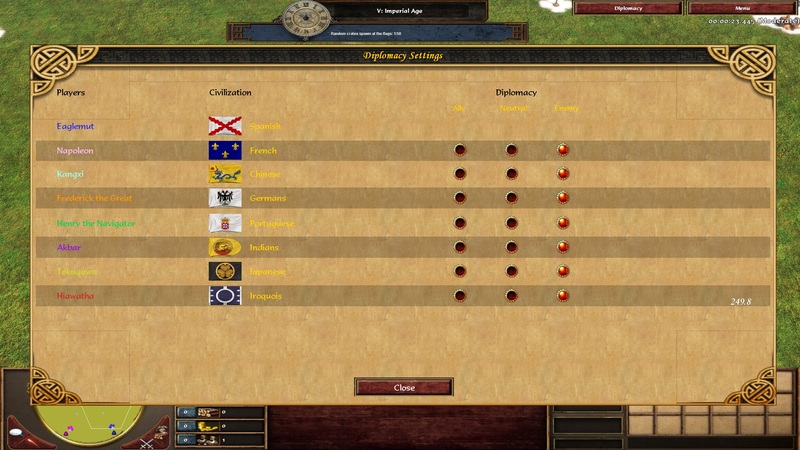 - Fixed visual issues on the Diplomacy UI window in games with more than 8 players. - Diplomacy UI toggles now become disabled and display an error message in 12-player games, instead of causing a game crash upon usage. - Merged the confusing "OK" and "Cancel" buttons into a singular "Close" button, instead of presenting two buttons with the same effect. - All game versions launched through ESOC Patch Launcher now load up significantly faster than normal (sample 17 seconds -> 10 seconds). - Updated obsolete patch notes links to now lead to ESOC wiki. - Fixed a visual issue on focused scrollbar elements. - Implemented launcher options allowing to set up a singleplayer skirmish match with up to 12 players, including selectable teams for players 9-12. Affects all ESOC patches, as well as the official RE patch. Once you've set the desired options in ESOC Patch Launcher, simply launch the game, host a skirmish without changing the player count, and play. - Prevent false positives on calendar-related background applications. - Prevent false positives on configuration files of other game versions not related to ESOC. - Improve accuracy of detected command displayed in error message to user. - Detect possible exploit involving unit transformation. - Several improvements to detection of opening developer console. Why did you change Baja?